Wishing all a very happy fun-fill weekend. 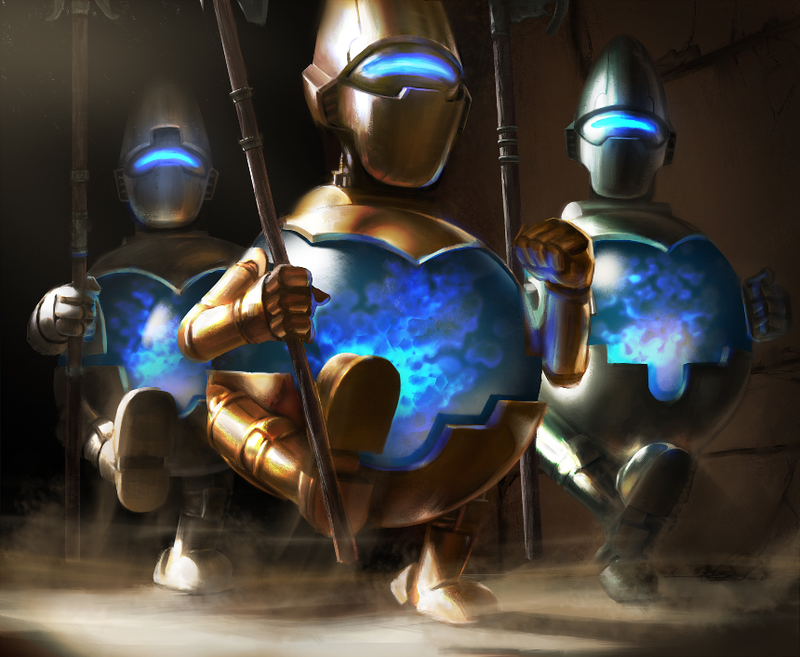 Loads of Magic: the Gathering events to take note of as we head on in to our two-day respite. Kicking thingys off is of course Friday Night Magic at our local gaming store, OMG! Games here in Barrie, Ontario. We'll be taking along a personalised version of a mono-black human 'weenie' build that Tomaharu Saito (yeah, we're definitely fans here) and hopefully will have some positive results to yatter about next week. 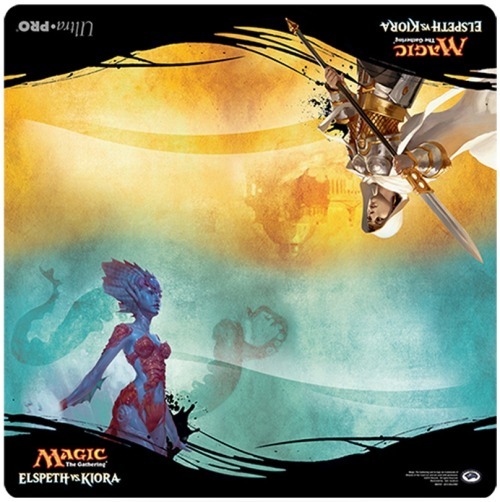 Out today as well is the very next DD product, Duel Decks: Elspeth vs. Kiora so we might be heading to OMG! Games a titch early to be certain to have a copy waiting for us on the shelf. There will be the opportunity to watch (or attend in person) for MTG fans, the big SCG Open event in Baltimore this weekend. 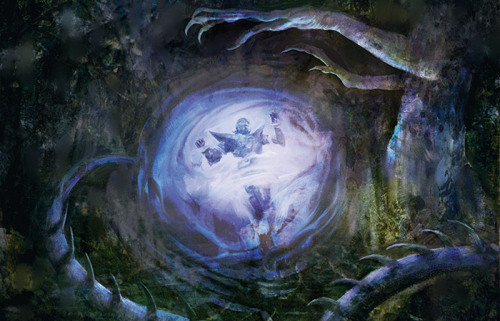 WotC staffer Doug Beyer had an interesting feature article up on the mothersite today on the upcoming 'core set' Magic Origins. There was a bit of a glitch when the article got promoted shortly after 11 EST this morning but is up now. 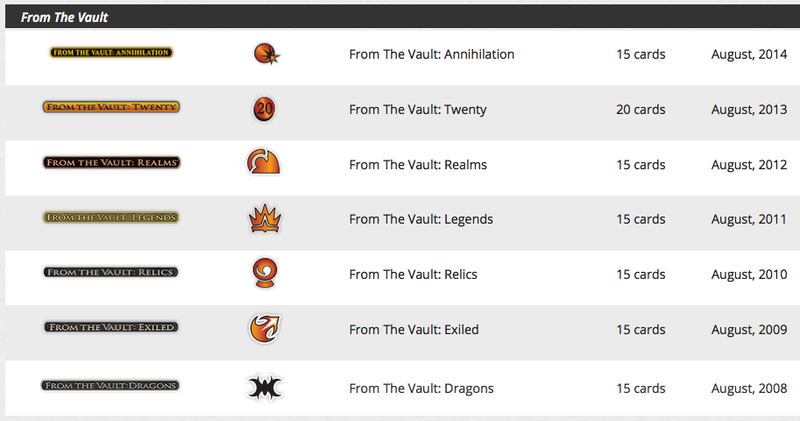 It seems that WotC still cannot get their shizzle straight some times, even with a simple article post. 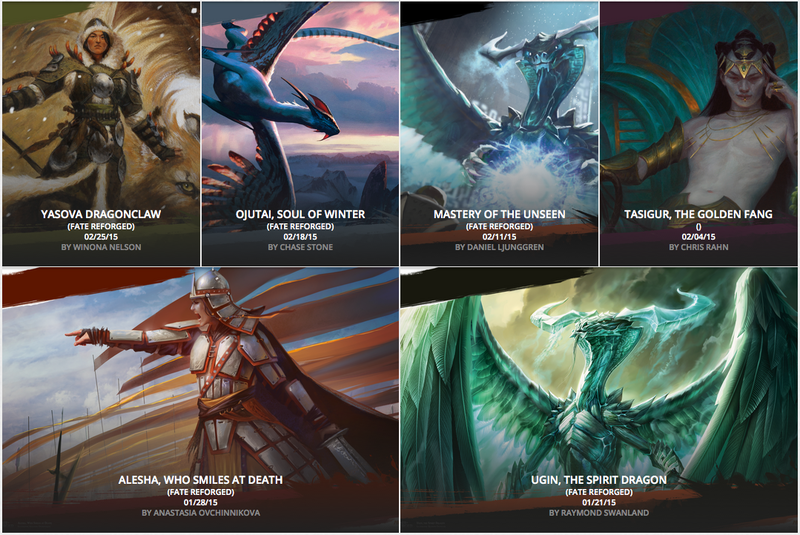 Anywhoos, we should get on with the title of today's post - a quick review of what's been happening on MTG Realm on Tumblr where our following continues to grow at an exceptional rate. 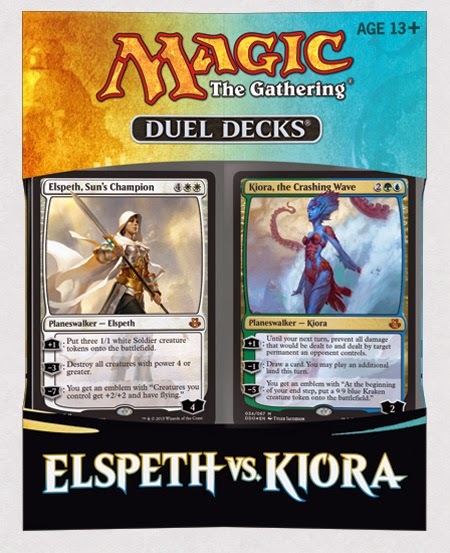 Duel Decks: Elspeth vs. Kiora is out TODAY ! 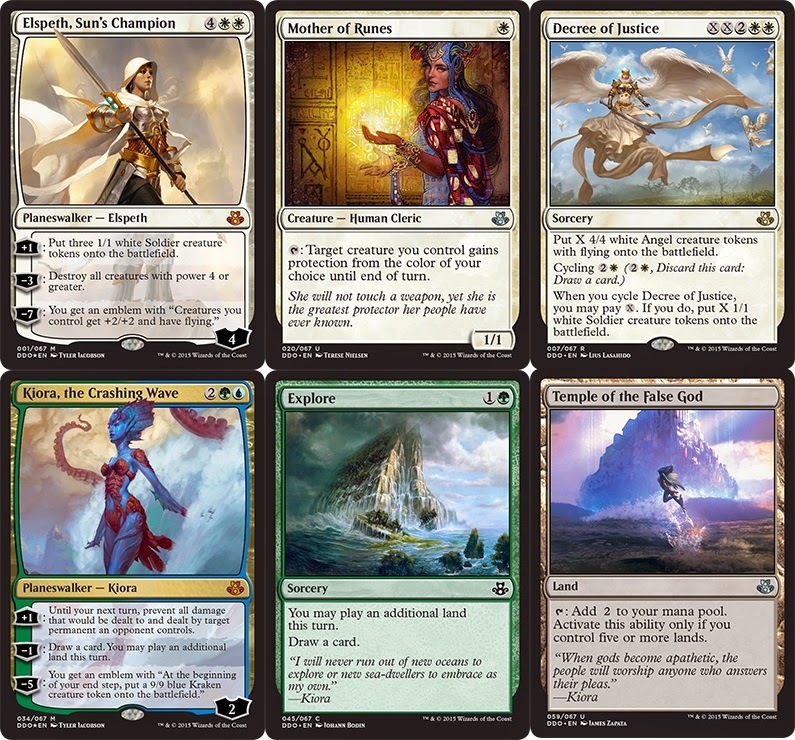 Six cards receive new artwork: Elspeth, Sun’s Champion, Kiora, the Crashing Wave, Mother of Runes, Temple of the False God, Explore and Decree of Justice. 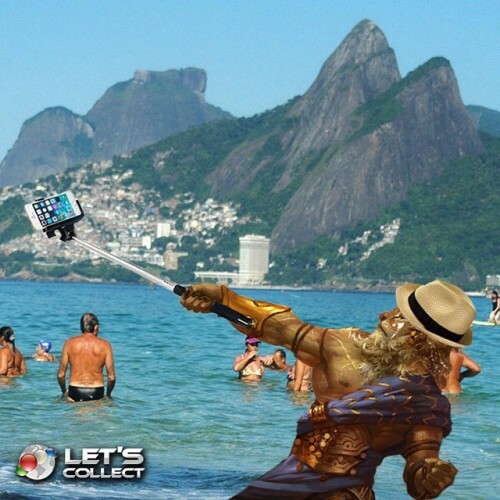 Great photo-shops from Let’s Collect (Brazil) imagining what how some MTG characters may be spending their free time / retirement from standard. Brimaz, King of Oreskos (Born of the Gods Mythic Rate), illustrated by Peter Mohrbacher - Beach Bum. 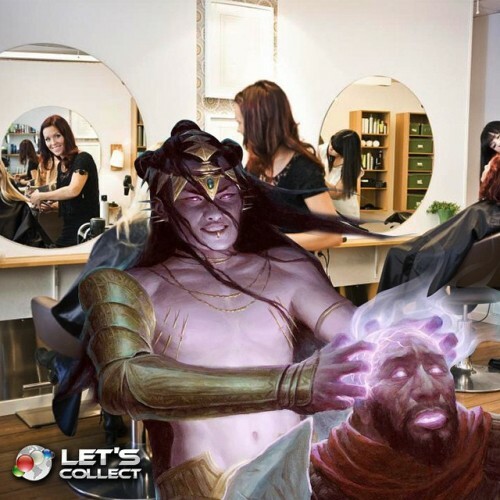 Tasigur's Cruelty (Fate Reforged Common), illustrated by Chris Rahn - always wanted to be a hair stylist. 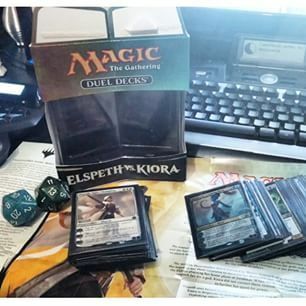 Yesterday on the mothersite, we were provided with some upcoming Friday Night Magic Promo cards to be had an your local gamery shoppe. Some very incredibly lovely pieces from Pedro Cruss ( dshss ) from Portugal. 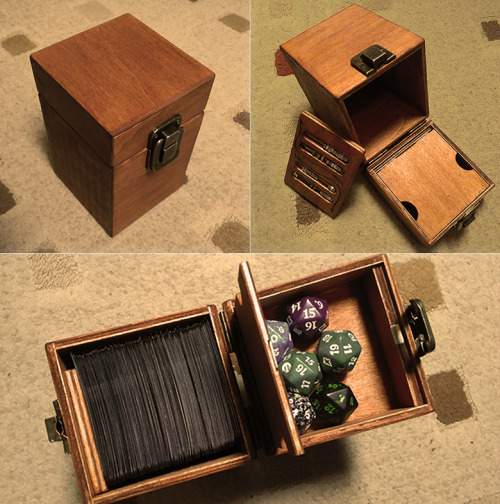 Light wooden box with a compartment for up to 9 D20 dice and a 4 lines abacus (intended for two players). 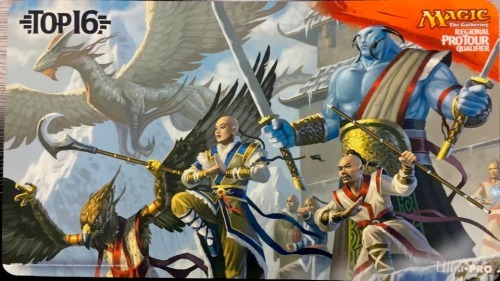 Interesting art on a Regional PTQ Top 16 playmat from Ultra PRO surfaced on the interwebz. Closely resembling Jesakai Ascendancy in the ‘old’ timeline before Sarkhan mucked about with it, the new art still shows the Jeskai warrior monks - Humans, Djinni, and Aven, but it seems the the Efreet have disappeared (likely due to their affinity for fire) to be supplanted by the (cold-loving) legendary dragonlord Ojutai. Gaming - Dice p0rn ! ! 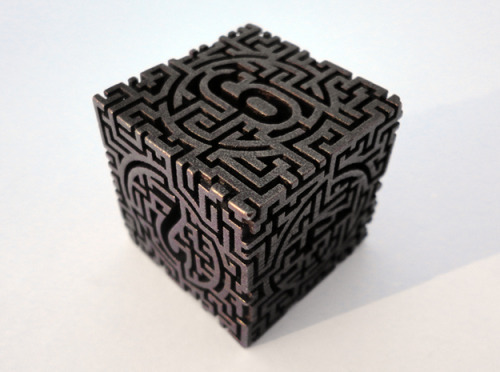 Single path goes through the maze from the “1” side to the “6” side passing through each of the numbers in order. It being Wednesday today, you can pop over to the mothersite and check out some of the impresseive high-resolution digital artwork from recent Magic: the Gathering sets (linky over here). Today's offering is Yasova Dragonclaw. We also suggest you catch up with the lore / storyline in today's Uncharted Realms article, this time by Kim Kreines who had been a WotC Associate Editor but now (last fall) has moved over to the Creative Design Team. 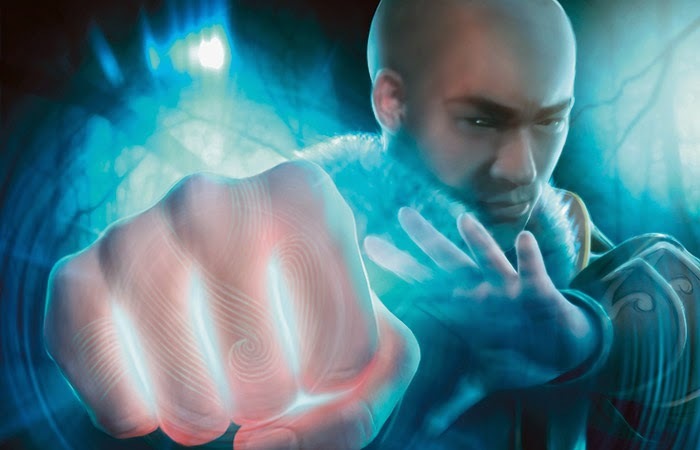 This is Kim's third Uncharted Realms story and we like her writing. illustrated by Jaime Jones - This certainly looks like the legendary black / red dragon 'Kologhan, the Storm's Fury' from Fate Reforged. 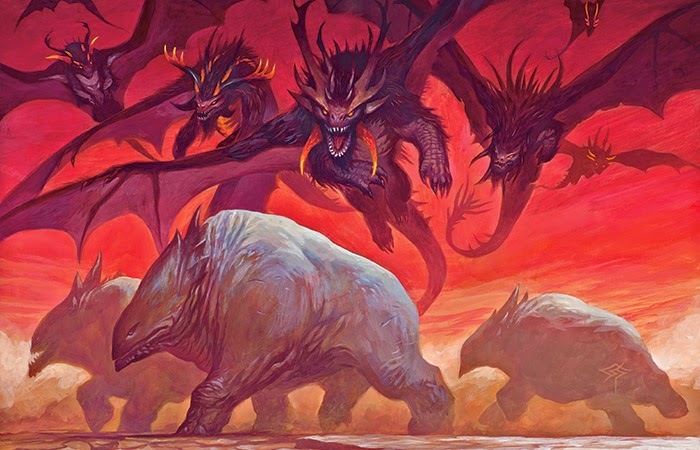 illustrated by Steve Prescott - Showing what appears to be a number of 'Atarka, World Render' brood looking for a quick bite. illustrated by Franz Vohwinkel - the reference in the story is that this may be vials of Dragonfire shared by Kologhan with the Mardu. 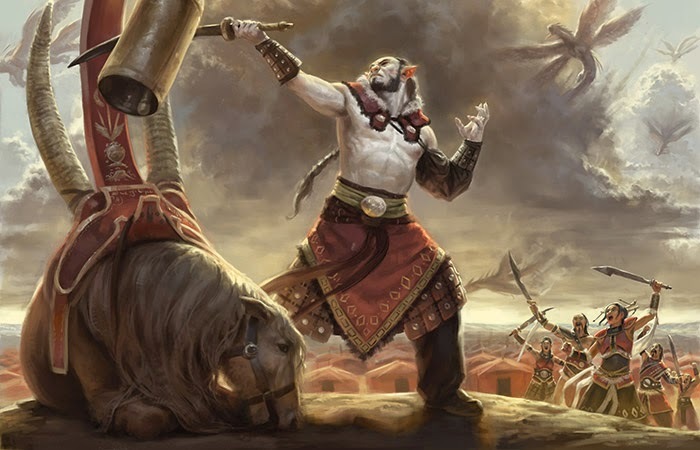 illustrated by Jason Rainville - Apparently with the rise of the dragons, Clan Khans have been supplanted by 'Dragonlords', and the time-shifted Zurgo Helmsmasher has become Zurgo Bellstriker. illustrated by David Gaillet - Sarkhan seeks Narset only to find that the former Jeskai Clan has expelled her as a heretic. In this reality, Taigam had not defected to the Sultai but remains with the 'Jeskai' as a master. 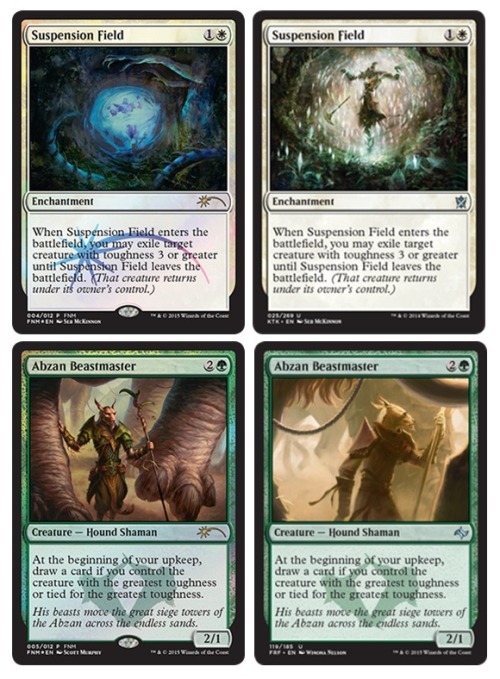 Loving the regular installments of Uncharted Realms and very much appreciate that Wizards has provided these sneak-peak illustrations. 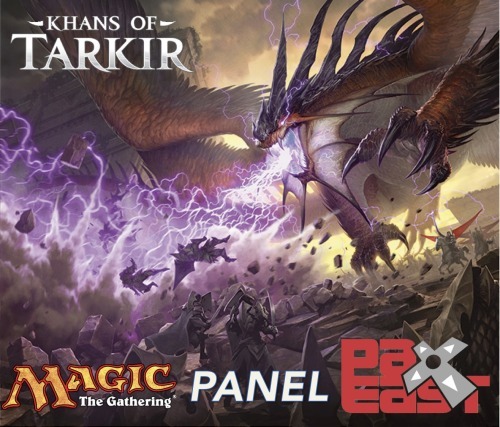 Soon here at MTG Realm, we'll be diving into Magic: the Gathering spoiler season again with the upcoming Dragons of Tarkir set with our very first previews are expected 6th March during the PAX East MTG Panel in Boston. 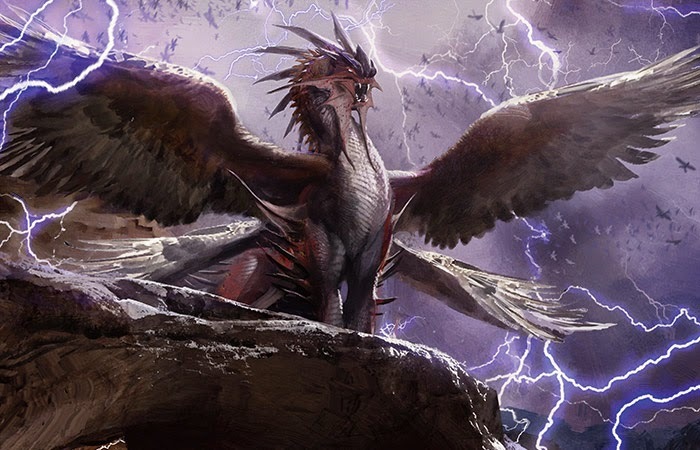 Today on the mothersite, we are treated with an early look at the Dragons of Tarkir Prerelease Event Activity called 'Tarkir Dragonfury'. One particular job we do not envy is creating these Prerelease activities. 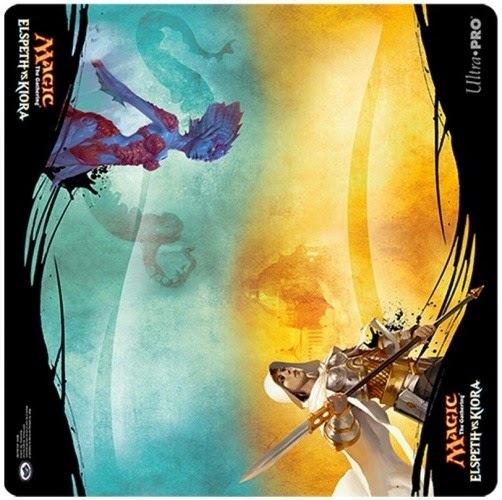 Wizards has been doing a damn fine job and one of the biggest improvements we'll note is the use of the 'Prerelease Pack' which we, other players, and event organisers at your local gaming store just love. Some of the Prerelease activities have been hit and miss however. A hit according to many was the Avacyn Restored 'Helvault', while a miss may have been Dragon's Maze 'Implicit Maze'. We love us some alternate art cards, and are certainly head over heels seeing just how awesome these dice look. Our 13-year old self is looking forward to knocking down those board pieces, but since we've moved a few decades beyond that age, the activity seems a bit lame / gimicky. 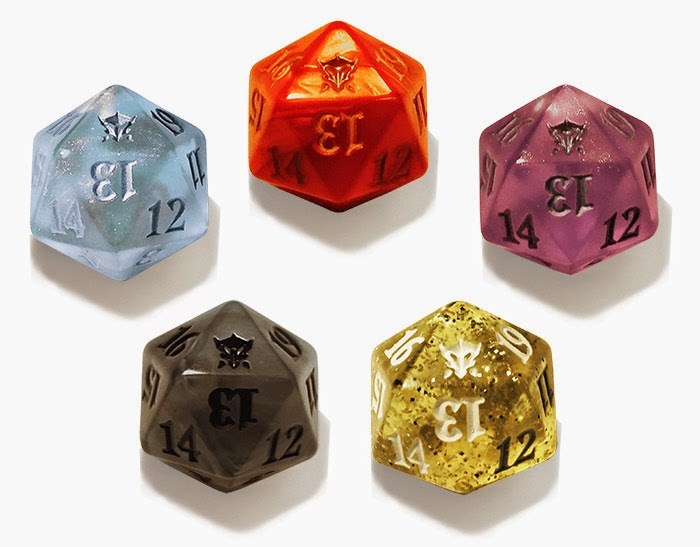 Our opinion may change during the Prerelease Event and as with all things, we'll be going in unbiased and with an open mind.
. . . mmm - those dice . 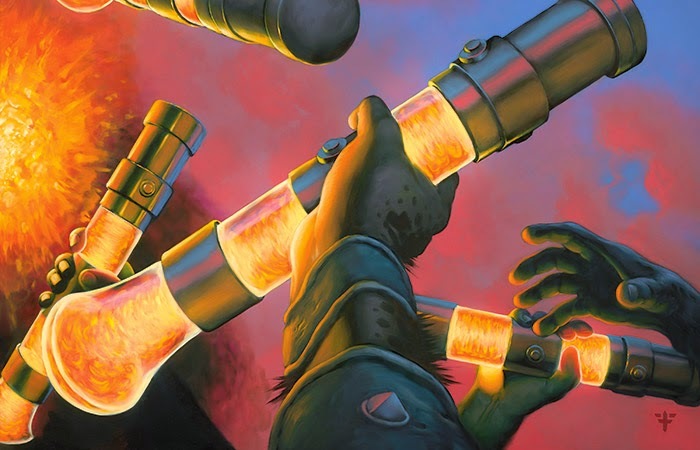 . .
Another great weekend for Magic: the Gathering fans either attending or watching event coverage for Grand Prix Memphis (Standard format) and Grand Prix Vancouver (Modern format). Here at MTG Realm, we had an unusual 'MTG-free' weekend ice-fishing and an enhanced understanding of what cold means. 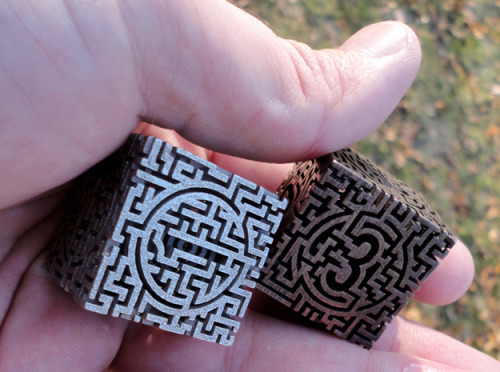 Anywhoos - let's tottle on off to today's article and forget about our frozen digits. 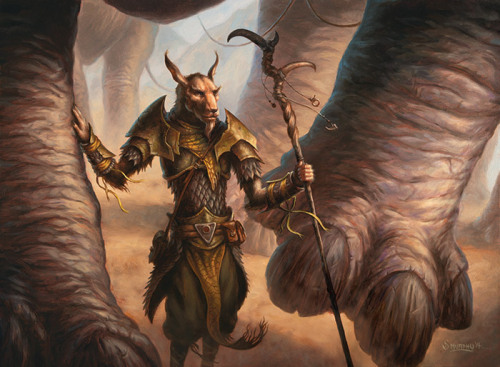 If you've endured all the maddening bugs of MTGO and have not rage-quit yet, they've announced a variety of strategies to address this on the mothersite which includes new resources, bug blog, and what not. 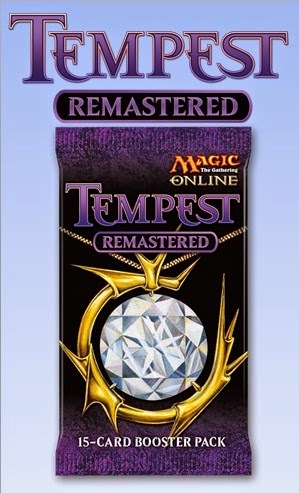 They've announced an upcoming new Magic: the Gathering Online (MTGO) product release - Tempest Remastered, somewhat similar to the online-only Vintage Masters set WotC had released a while back. If you have a boat-load of nostalgia for Tempest, Stronghold, and Exodus, the Team has taken all 621 cards from these sets and whittled down a list that will lend itself well to limited play. 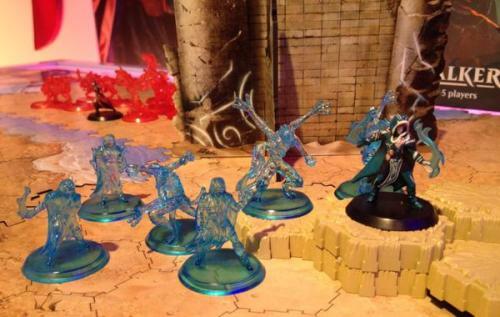 Speaking of limited, the set will be available online from just the 6th to 27th of May, 2015. 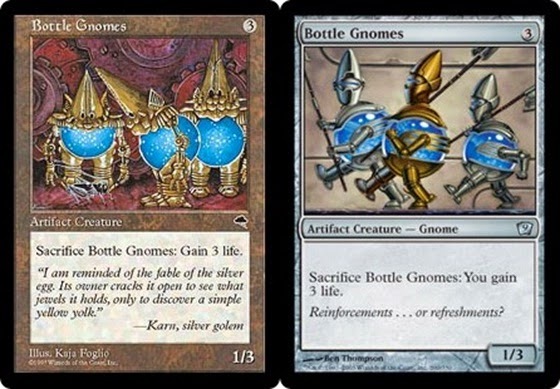 Although the indication is that there will be no new arts, the mothersite also provided a preview art for Bottle Gnomes (one of the very first cards we collected), which brings us to the title of today's post. We wanted to do a spotlight on this card which we've got a bit of nostalgia for. Flavor Text: "I am reminded of the fable of the silver egg. Its owner cracks it open to see what jewels it holds, only to discover a simple yellow yolk." Flavor Text: "Reinforcements . . . or refreshments?" 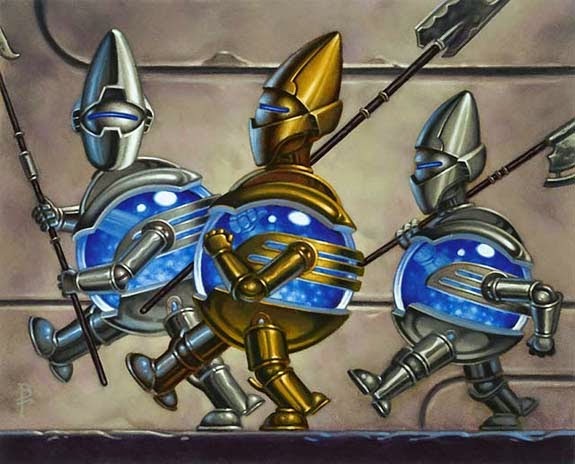 Out of the 7 Gnome creature types in MTG, only one was a 'lifelike' creature with the remaining being all artifact creatures. 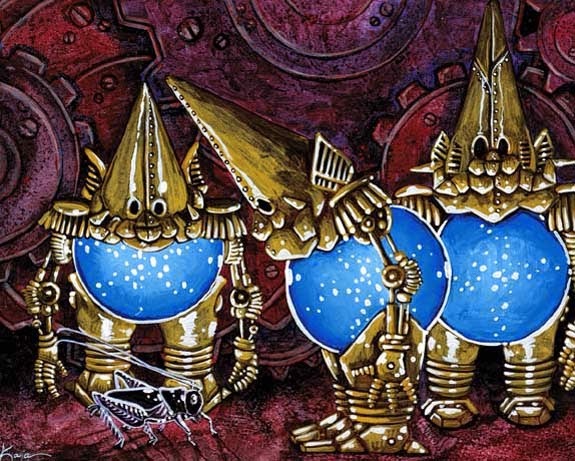 Storywise, gnomes are typically constructs of artificers, dwarves, wizards, what-not. 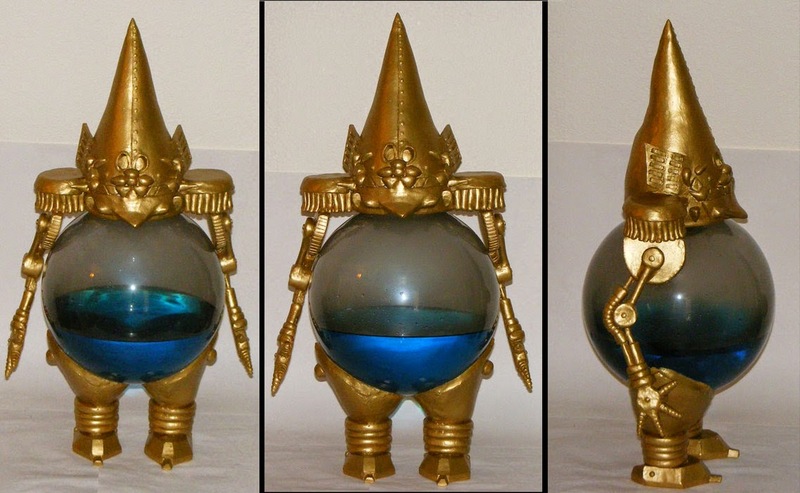 Today we're only focusing on Bottle Gnomes, depicted as not very menacing mechanical automatons having a clear vessel filled with blue-coloured serum or lymph liquid. This liquid is beleived to have been developed by Memnarch and sought-after by Vedalken and Neurok for its mind-expanding qualities. Today we want to catch up with a bunch of Magic: the Gathering miscellaneous goodness and we're getting straight to it now. OMG! 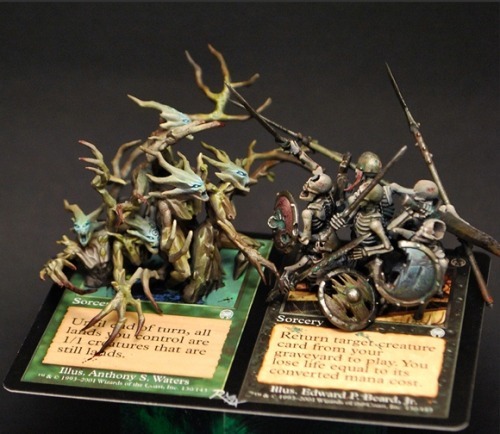 Games, here is Barrie, Ontario is presenting another fun-filled weekend for MTG fans. Today (Saturday) at about noon-thirty, they are holding a Two-Headed Commander tournament. You and a friend can enter your team for just 10 bucks ($5 per person) and enjoy hours of this awesome Commander variant format. Tomorrow (Sunday), OMG! Games is holding the Grand Prix Trial Toronto at noon. Format is modern with a $20 entry. First prize is $300 cash ($400 store credit) with additional prizes paid out to 8th place. 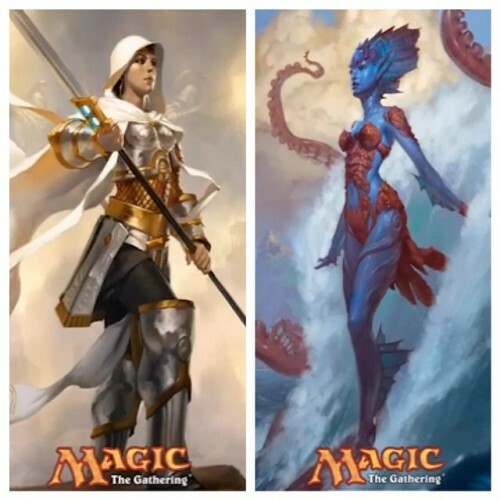 We now want to turn our attention to what's been happening on MTG Realm on Tumblr which is enjoying ever-increasing popularity with over 9,200 followers now. 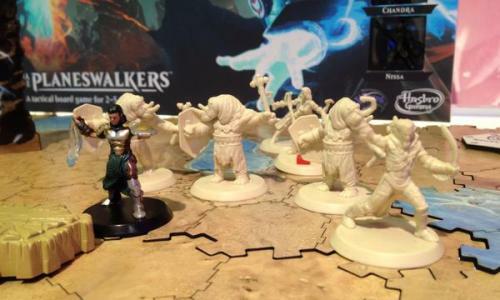 Hasbro had on display at the recent Toy Fair 2015 (New York City 14th - 17th February), the Wizards of the Coast 'Arena of the Planeswalkers' board game. 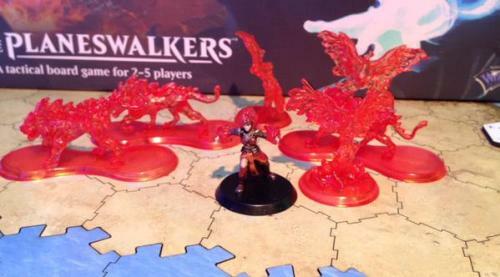 Good images posted by Board Game Geek showing Gideon, Jace, Liliana, Chandra and Nissa with their ‘squads’. 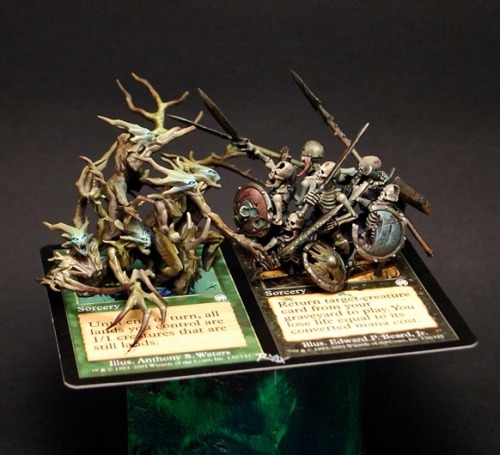 Some very impressive miniature work by Amon Chakai (Massimiliano Amon Richiero) who had used the MTG card Life // Death, Apocalypse Uncommon - illustrated by Anthony S. Waters and Edward P. Beard, Jr. to bring to illustrate the card’s conflict. Posted to Cool or Not Mini. 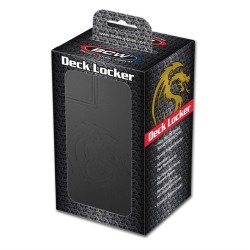 The BCW Deck Locker is built to last and will not let you down. 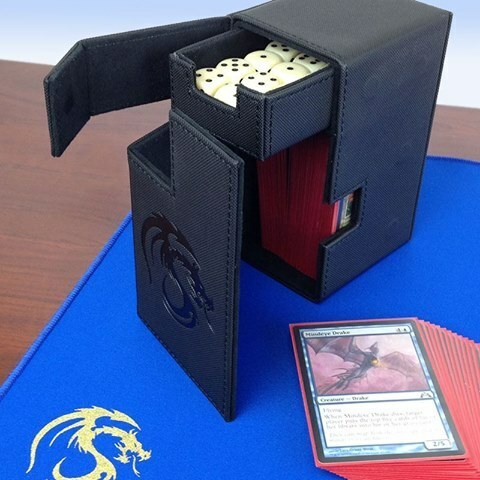 The durable construction will keep your cards safe from damage and make sure your deck is ready for the next round. Any card game works great in the BCW Deck Locker including Magic: The Gathering, Pokemon, YuGiOh, and Star Wars just to name a few. 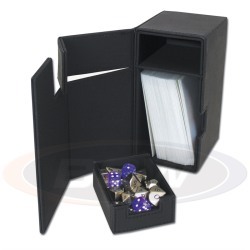 The BCW Deck Locker is a hearty option for storing and transporting your collectible gaming cards with dice and tokens. It is sure to impress and intimidate your weaker opponents. 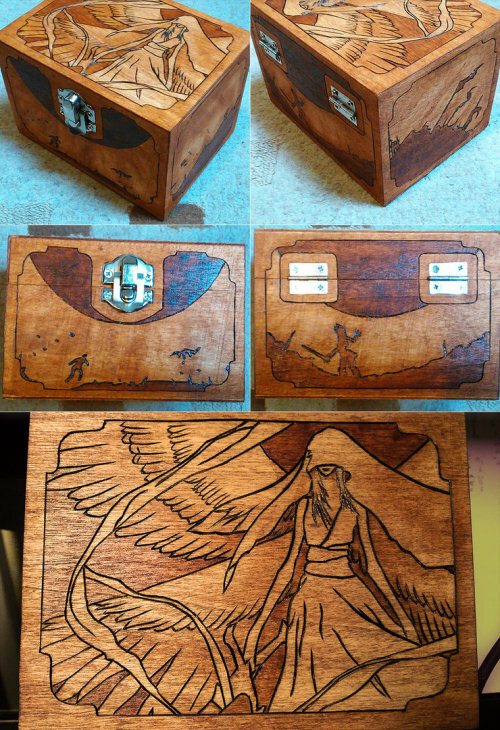 Ultra • PRO deckboxes and Playmat to pimp yo game. 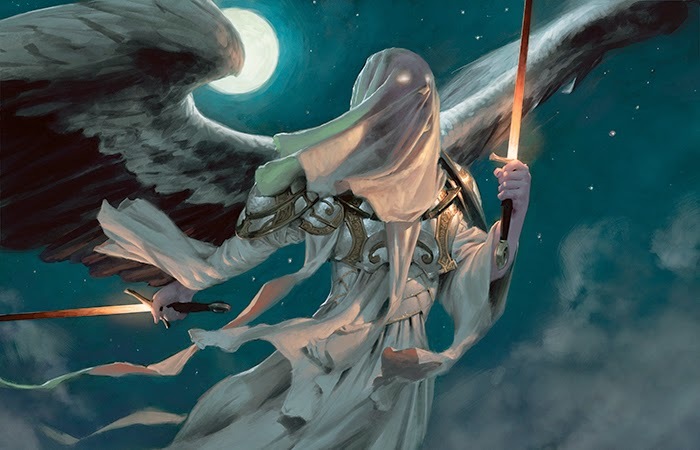 The knight Planeswalker Elspeth Tirel sees herself as the protector of the Multiverse. She has pledged her sword and shield to all who suffer, and she summons forth impressive armies to assist her. The merfolk Planeswalker Kiora calls upon the creatures of the deepest oceans to fight at her side. She is the master of the world beneath the waves, her true power only now beginning to surface. 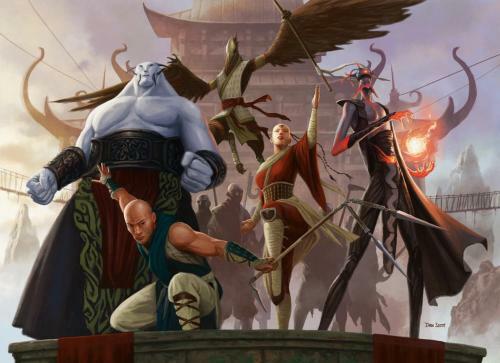 How will these Planeswalkers measure up when they meet in battle? Yesterday on the Penny Arcade news posts, we were all treated to this year's pins available to collect at PAX East (Boston, 6th to 8th March 2015). There has been for a while now at the PAX events, a Magic: the Gathering pin to collect from Wizards of the Coast booth or event. 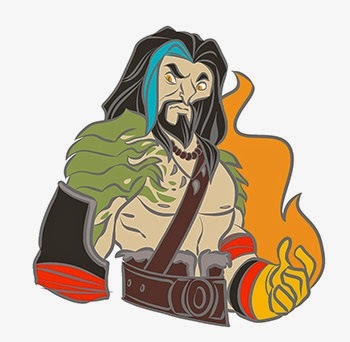 No big whoop but when the pin image was posted 19 hours ago by PAX 'Gabe', he had also provided a name 'Sarkhan, Unbroken' along with this image . . .
Well doesn't that look a bit familiar . . .
That trailer shows the same 'Ugin the Spiritdragon coloured' trail in Sarkhan's hair as well as that ever-so-cool flaming first. 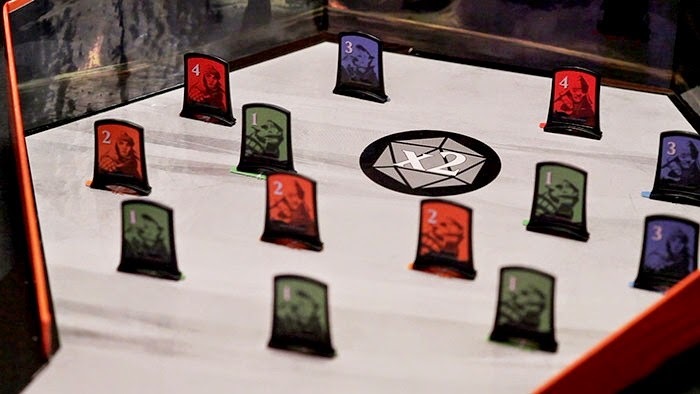 In today's Magic Arcana post by WotC staffer Blake, he had provided a bunch of details for MTG fans attending PAX East as well as the same pin image - but - no intriguing name. 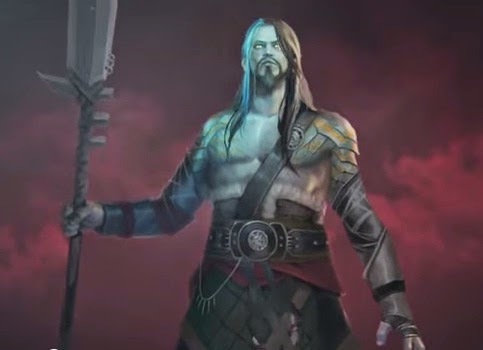 Some in the MTG fan community speculate that we will see the return of Sarkhan in the next set. We really don't doubt this - the big question is, as a Planeswalker, a Legendary creature card (his Planeswalker spark consumed in that time travel business), or just perhaps a spell ? 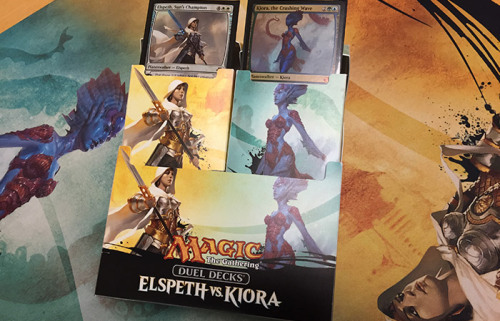 Duel Decks: Elspeth vs. Kiora is the 15th set in the Duel Decks series. It will be released in just over a week from now on February 27, 2015 for a suggested retail price of $20. 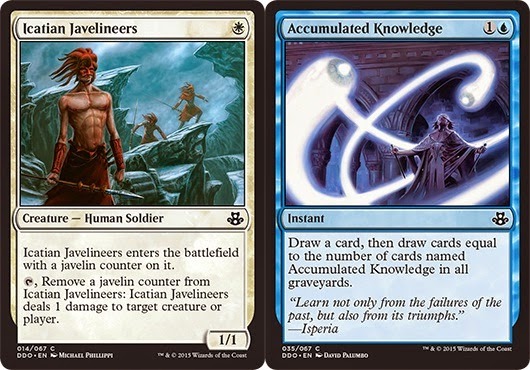 The art for Icatian Javelineers first appeared on a Gateway promo and the art for Accumulated Knowledge was first used for Duels of the Planeswalkers. 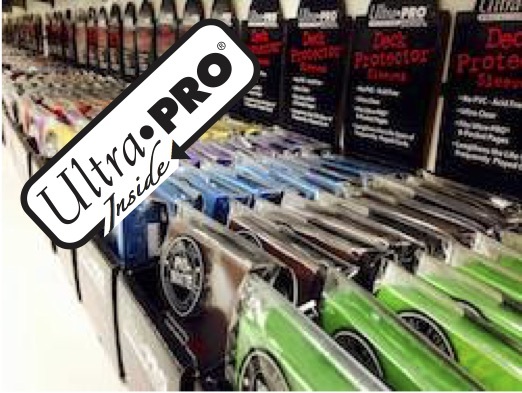 If you are planning on picking up this product, we suggest you also give some consideration to picking up the very awesome / cool Ultra • PRO playmat and deckboxes. Here in Ontario, it's Family Day, which for us included a breakfast at Cora's, some movies, and a bunch of Magic: the Gathering games. Lovely. • Fifteen premium foil cards, including five with new art. • Each card has been printed using a foil process unique to the From the Vault series. • From the Vault: Angels will be available worldwide in English only, and will have an extremely limited print run. • All cards are black bordered and tournament legal. This means that these cards are legal for use in any tournaments where the original printings are still legal. Some pretty slick art previewed as well. So, if you don't know, From the Vault is a series of box sets, released on an annual basis in late August. 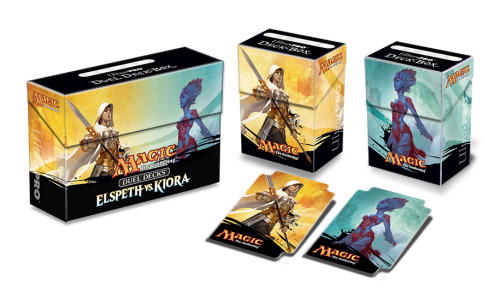 Each box set contains 15 tournament-legal, black-bordered, holographic foil cards with a common theme. Some of these cards feature novel alternate artwork. Previous From the Vaults sets.